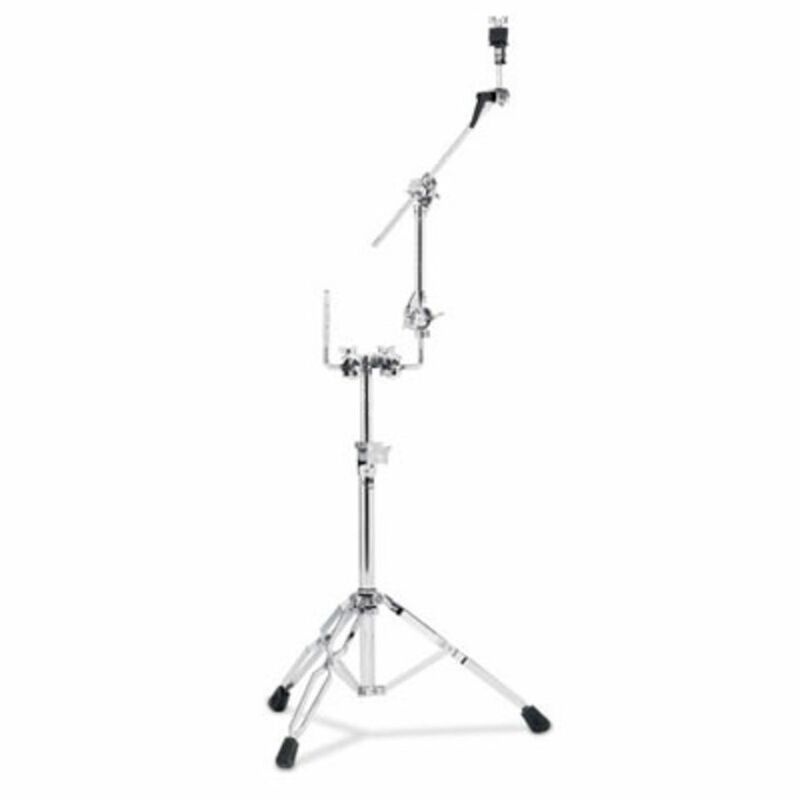 The DW 9999 Cymbal Tom Stand is a heavy gauge stand which delivers technology and performance to satisfy and exceed the demands of the modern professional drummer. The 9999 Cymbal Tom Stand from DW is constructed from heavy gauge tubing, featuring hinged memory locks, plastic tube insulators and ball and socket adjustment. The 9999 ships with1 x ½” Tom arm to fit perfectly with the DW TB12 brackets, and includes a ½” Boom Arm for cymbal mounting. Heavy duty. Stable. A stand for a lifetime of playing pleasure regardless skill level. I have heavy cymbals mounted on this stand along with tom and zero and completely rock solid. Its a little expensive but definitely a stand for life!